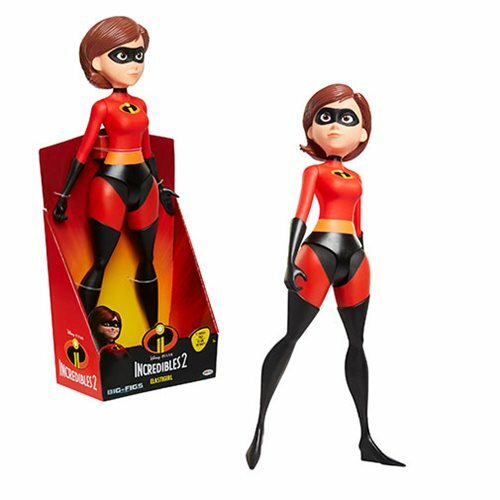 From the hit Disney/Pixar movie Incredibles 2 comes this amazing Incredibles 2 Elastigirl 17-Inch Big Fig Action Figure. The spectacular Big Fig of Elastigirl stands about 17-inches tall. This Incredibles 2 Elastigirl 17-Inch Big Fig Action Figure comes packaged in a open tray box. Ages 4 and up.